turnover approach to 45 million US dollars. L&W is a professional fastener supplier of constructions, machines and general industry. We work with more than 250 subcontract makers in Taiwan, China, Korea and Thailand. The mission of L&W is accomplish one-stop-shopping service for saving import cost and provide good quality products for end user work more efficiently. Low carbon steel fasteners corporation with competitive price have been growing up in China. 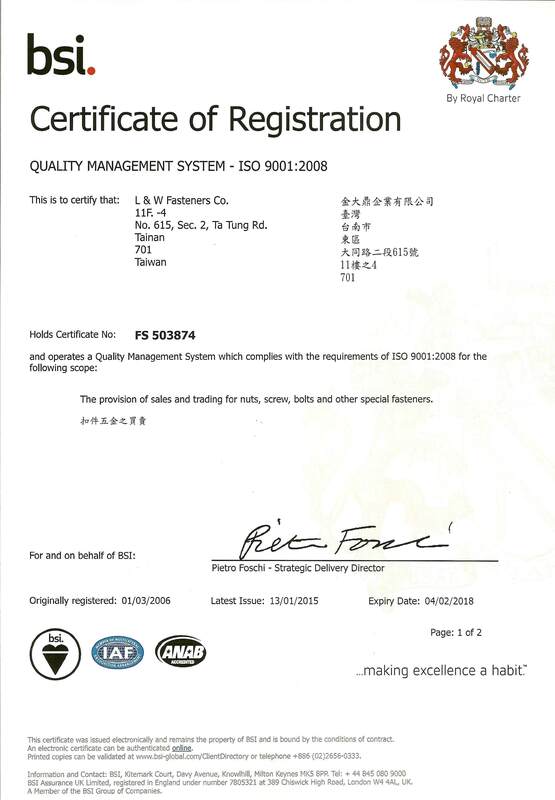 In 2005, we invested inspection equipments in advance. 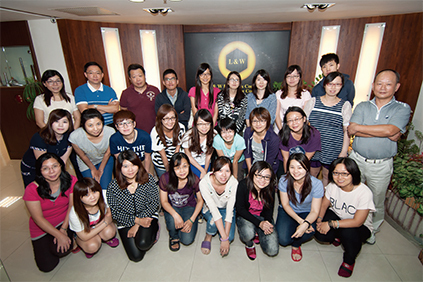 In order to offer more competition service for customers, L&W invested warehouse in Taiwan in 2013. Base on customer's annual demand, our warehouses hold stock for contractual orders and mill supply. We hope to bring more additional value service to customers thru our professional inspectors and experience sales teamwork. Email：king-lin@lwfasteners.com.tw	Tel：+886 6 335 1876 Rep.	Fax： + 886 6 335 1879 Rep.